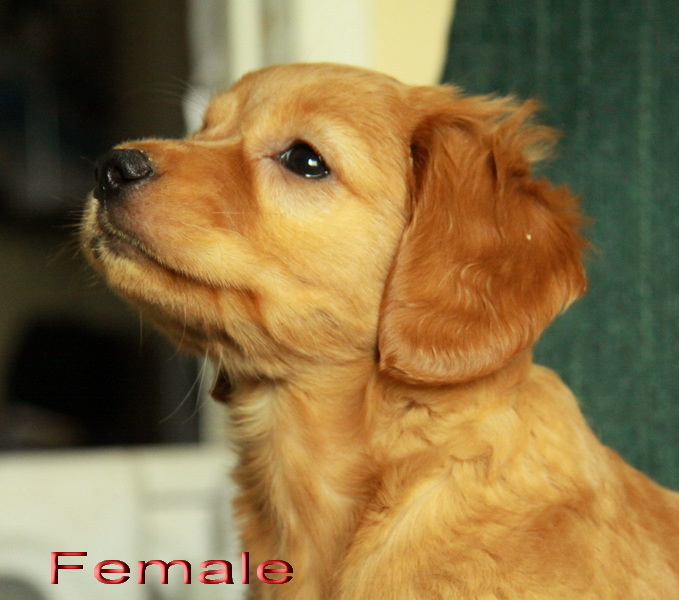 Home / Breeds / Goldendoodle Puppies / Labradoodle and Goldendoodle Puppies For Sale ! 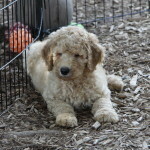 What’s Up With All the Labradoodle and Goldendoodle Puppies? 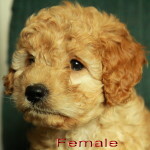 goldendoodle puppies for sale. 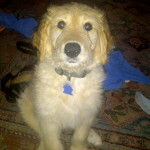 Sorry, we no longer breed labradoodle puppies. 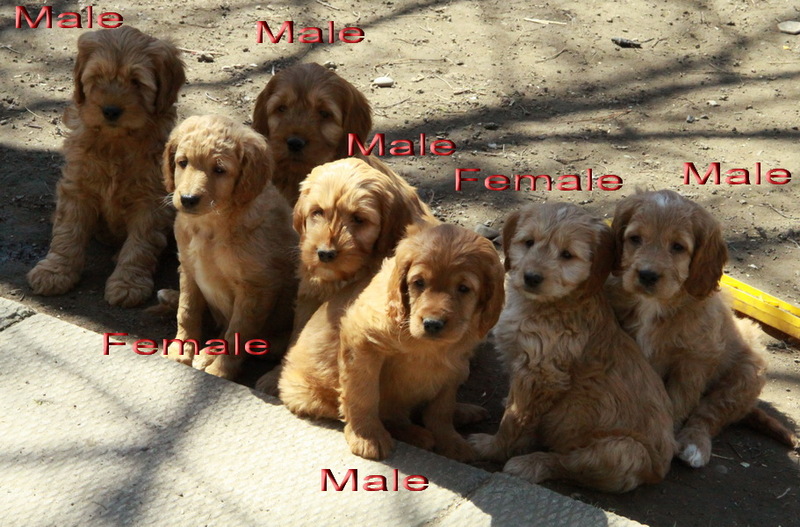 Have you been hearing a whole lot of “labradoodle” and “goldendoodle” dog names lately? 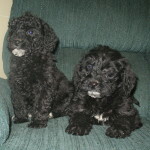 There’s little wonder why when you see how amazing these poodle hybrids can be. 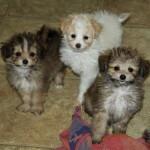 At Curious Puppies we have had a lot of poodle mixes over the years, many of them goldendoodle and labradoodle puppies. These are either a golden retriever mixed with a poodle or a lab crossed with a poodle. 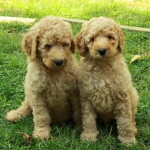 Of course, the size and colouring of the poodles can vary, as well as the colour of the lab, therefore it is possible to end up with different colours of labradoodles and goldendoodles. 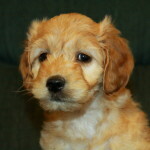 If we don’t have any Labradoodle or Goldendoodle Puppies for sale at the moment you can join our Waiting List! 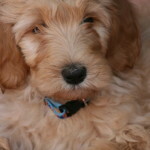 Labradoodles and goldendoodles are generally highly intelligent dogs. They are easily trainable, especially with food! We usually recommend being very careful about feeding table scraps to any puppy/dog, but treat training can be a very quick method for training your labradoodle or goldendoodle puppy. 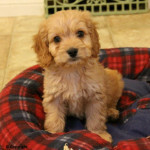 The crate training process can be easily sped up when using treats to entice these poodle crosses into learning proper bathroom routine and rewarding them for their positive eliminations. Of course, positive reinforcement through love and affection is still our number one recommended method of training and rewarding your dog! All dogs love to be praised, so they’re certainly happy when they make their new family proud of them. 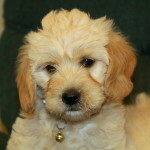 Labradoodles and goldendoodles have recently been added to the list of popular service dogs. 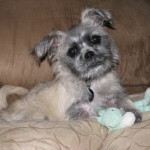 What makes them extra special is the ability to adjust their full grown size, their level of shedding, along with the added bonus of less shedding (when they take on more of the traits of the poodle parent such as curlier hair). The high level of intelligence of the pure lab or golden retriever, combined with the super intelligence and ease of training of the poodle, you can see why a labradoodle or goldendoodle would make such a fantastic dog in service training! Not only that, but their extreme loyalty and affectionate personalities just put them over the top. 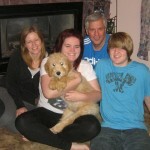 You can’t go wrong with a labradoodle or goldendoodle, as long as you do your end of the training, of course! 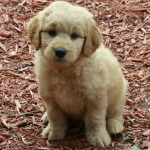 What To Expect From Labradoodle and Goldendoodle Puppies For Sale? 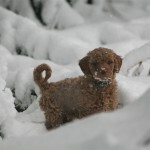 Because labradoodles and goldendoodles are hybrid dogs, there are certain characteristics that will be fairly standard, while others traits can vary greatly. 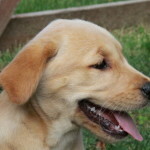 Labrador retrievers come in yellow, black, or chocolate colours. 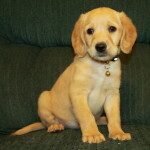 Golden retrievers are various shades of near white, to golden, to deep red. 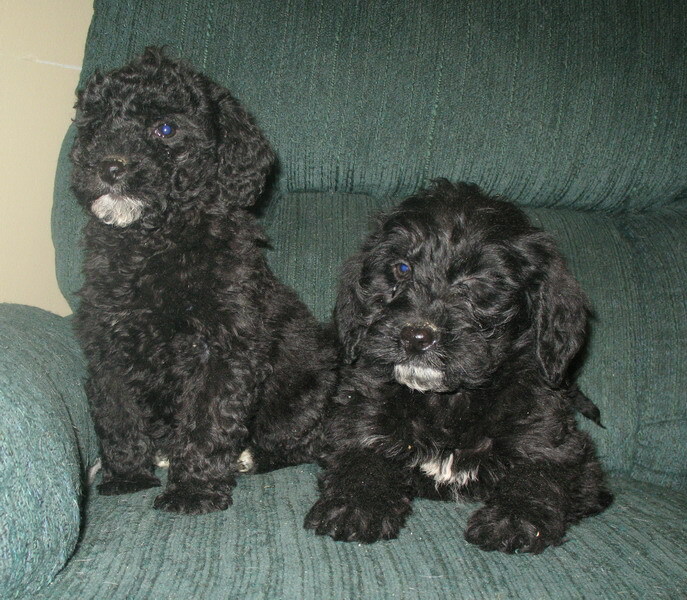 The poodle can come in so many colours as well, that the genetic possibilities are great. 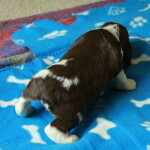 However, there are various genetics that are more dominant, so it keeps the colours fairly standard in the end! 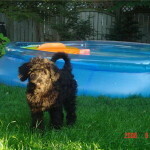 Also, when you see a labradoodle or goldendoodle puppy at 5-6 weeks and older, they are not likely going to change colour any further and you can expect them to remain the colour you are seeing. Also, due to the cross with the poodle, the labradoodle and goldendoodle can be completely smooth as their lab/golden parent, or they can be wavy to curly and resemble more of the poodle parent. Usually the wavier/curlier the puppy’s hair is will reflect the level of shedding and somewhat how ‘hypoallergenic’ the puppy will be. 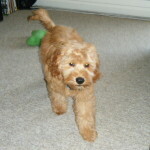 **Just because a dog is crossed with a poodle does NOT make it suitable for all allergies! This is a lie that goes around by people selling dogs who would rather sell the dog than find the most suitable home for the puppy! If you or someone in your immediate home has allergies, please spend as much time as possible with the puppy to see if there will be a problem or not. Also, keep in mind there are two types of allergies: dander related (most common) and saliva. 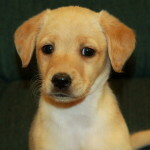 If you have reactions to the saliva of a puppy, there will be no ‘hypoallergenic’ dog for you.